The rumor goes that building a professional looking website is very expensive and time-consuming, thus many entrepreneurs can’t bring themselves to the decision to start working on their online presence. It’s a big mistake that will ruin their business after a while. We live in a digital era when people Google any information, search for testimonials about a product or service before to buy. So it is extremely difficult to fight off competition without such an effective marketing tool as a corporate website. When you are planning to develop your online presence, the first logical question appears: how much is this going to cost? For those who have a finite amount of money, it is a crucial aspect since each and every entrepreneur is eager to invest in the smartest way possible. However, we should understand that the cost of web design work varies dramatically and depends on numerous factors. You may need a single page website focusing the user’s attention to the most important content or a website with 100 pages or more with tones of different components and features. Some website options look complicated but easy to implement while others are simply-looking but require considerably more time and professional skills to build in. If you need such additional things like e-commerce, forums, membership, and other custom functionality, you should pay more. A unique, captivating web design that attracts more advertisers will cost you more money. In fact, hiring a professional designer will 100 percent impact your wallet. So make sure you are ready to build a website all the way from A to Z or maybe it would be better to use one of the best responsive WordPress themes. You will definitely agree with the statement that “Simplicity means the achievement of maximum effect with minimum means”. The same can be said about the WordPress CMS that is time-saving, reliable and well-organized. Whosoever you are – an experienced website administrator or a newbie, using of this site building platform is a pleasure that doesn’t require deep specific knowledge and skills. 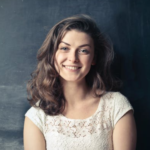 In addition, there are tons of step-by-step tutorials, comprehensive documentation, and WordPress forums on the internet that will surely help you solve any problem. 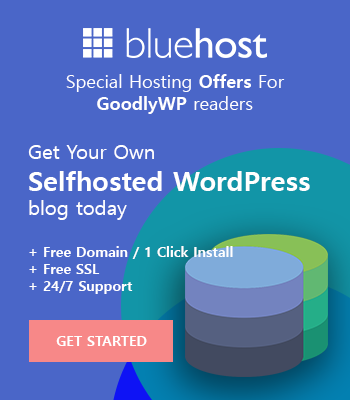 Even more, if you use one of these WordPress themes you achieve friendly and efficient 24/7 support that will immediately answer your questions and help with the installation and customization process. When you are going to start your online business venture, first and foremost you need to know is how your site is about to look. Whatever business you offer, it’s crucial to make such a stunning design that will engage the audience at the first sight. Take a look at the 10 best responsive WordPress themes with a professional looking design and advanced functionality. 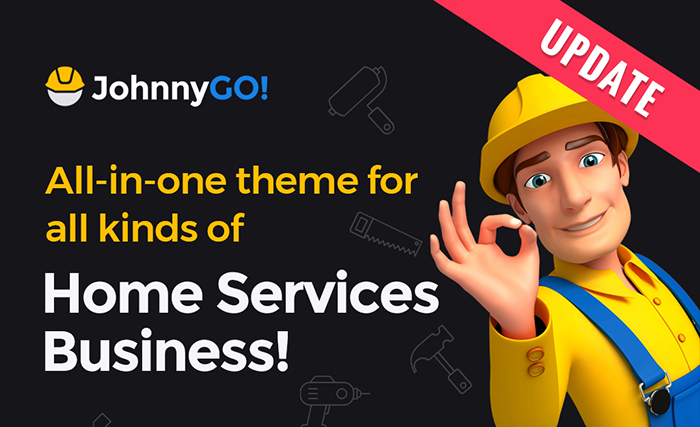 JohnnyGo is an eloquent and creative solution for a vast range of home services websites – from small repair services to corporate giants. The theme offers you advanced customization features being stuffed with Cherry Projects and Services, Testimonials and WooCommerce plugins. JohnnyGo has everything to present your home service online: clear user interface, powerful incredible functionality and multiple skins for all occasions, just choose the most appropriate for your needs. 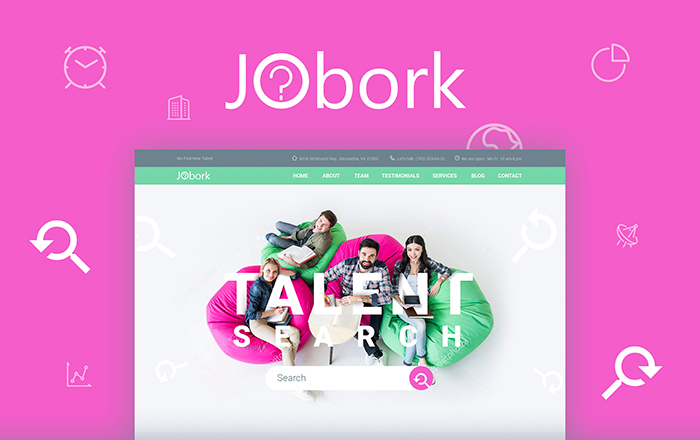 Jobork is a top-notch, bright colored and professional looking template for creating a top-rated job portal. It is a multi-page website theme that boasts trendy fonts, an intuitive design, stunning pages for all occasions and drag-and-drop page builder stuffed with a set of sleek looking modules. 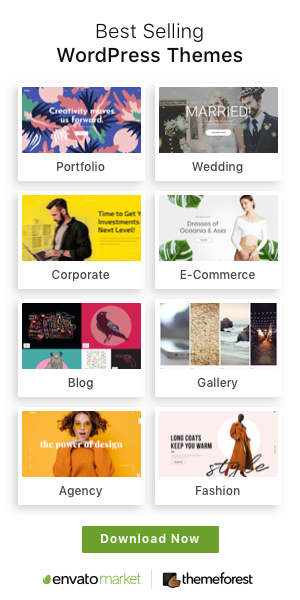 With Jobork you achieve 7 different headers and 3 footers, 4 blog layouts and almost unlimited Google fonts at your disposal. 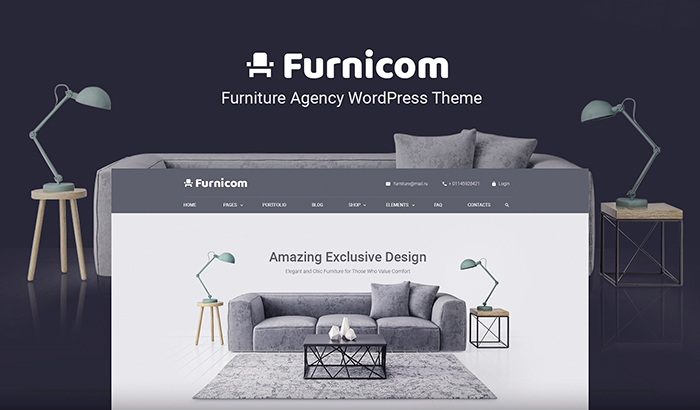 Furnicom is a stylish and elegant, extremely flexible and easy customizable theme that suits any furniture store. The template is cross-browser compatible and mobile friendly, so it will look perfect on any device with any screen resolution. Furthermore, with this theme as an extra bonus you achieve Booked appointment plugin that will definitely enrich your website. 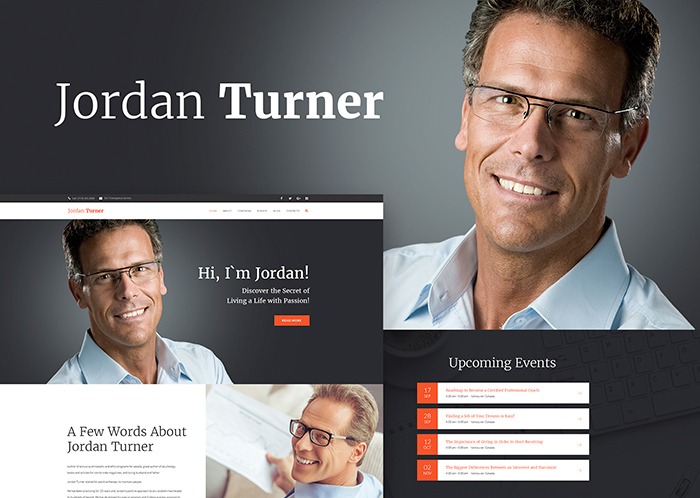 Jordan Turner is a clean looking, interactive, outstanding and advanced website template with trendy icons, fonts and colors. With gorgeous design, multiple layout tools and outstanding plugins, your website will definitely draw customers’ attention to the message. The template will look perfectly on any device with any screen resolution, so the mobile users will also have a great opportunity to interact with you without any effort. 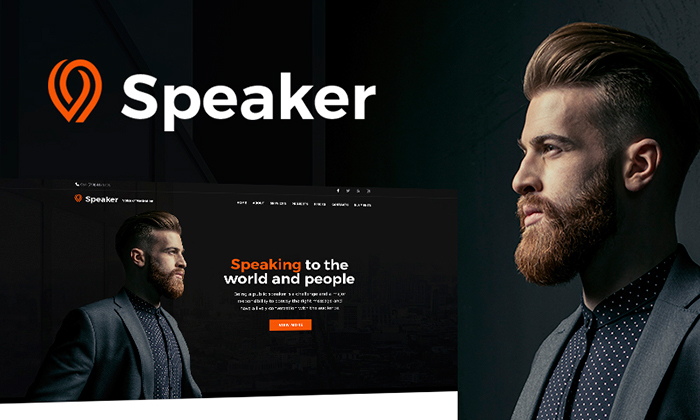 Speaker is a fresh-looking, attractive and reliable website template that will come in handy for a creative and ambitious life coach. It comes with a gorgeous design based on contrast colors and top-rated graphics. The theme is equipped with the drag and drop Elementor Page builder, multiple widgets and advanced functionality that allows to make your future website extremely easy to navigate and very attractive to the target audience. 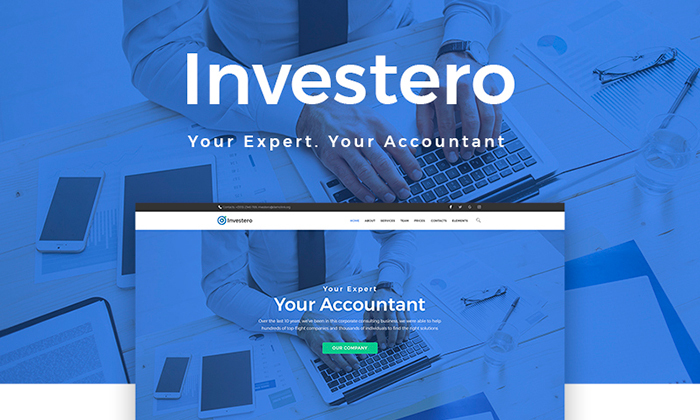 Investero looks reliable, elegant and modern. With this WordPress theme you can build a trustworthy website with tons of users. The template offers you numerous eye-catching pages with multiple visual elements, a set of necessary plugins and advanced functionality to enhance your branding power. 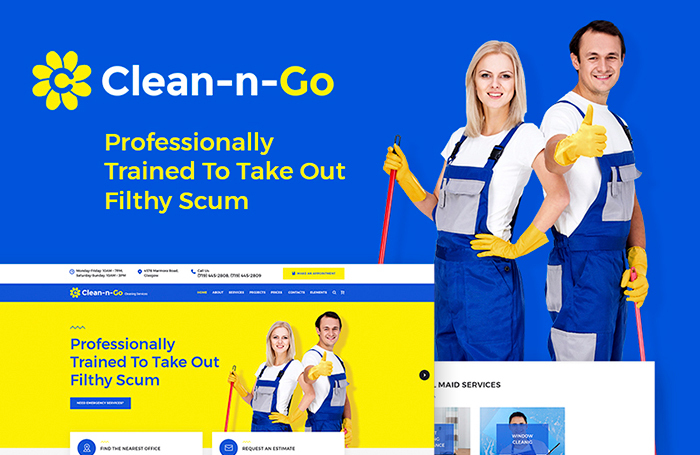 Clean-n-Go’s developers have created a top-rated, professionally crafted template for building a multifunctional and comprehensive website suitable for online cleaning service. The theme provides fully responsive design, stunning blog layouts, astonishing headers and footers as well as WooCommerce package. Furthermore, you have access to more than gorgeous widgets to build unique pages. 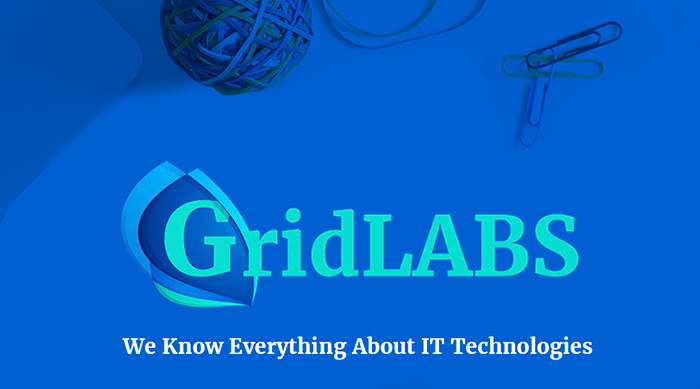 GridLabs is a carefully built and professionally designed, fully responsive and cross-browser adaptive top-rated theme that suits any company providing different IT solutions. There is everything you need for an efficient and comprehensive website with advanced functionality and stunning plugins. This SEO friendly template will help you promote your business online and stand out from the crowd. 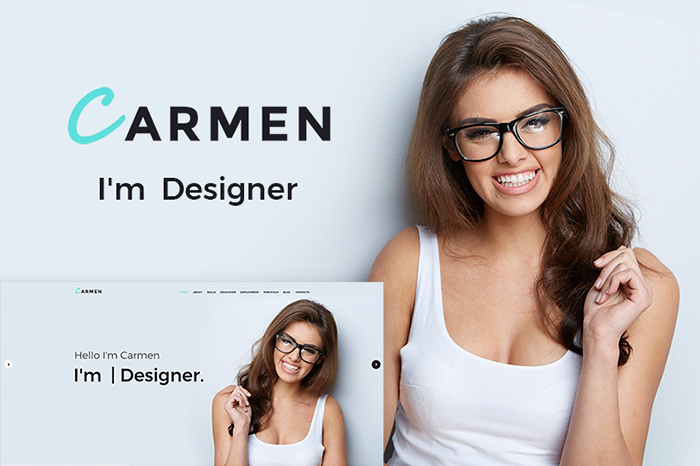 Carmen is a clean looking professional website template with all the necessary web elements. The theme boasts several different blogging layouts, various headers and footers, bulk of Google fonts and multiple well-designed modules. 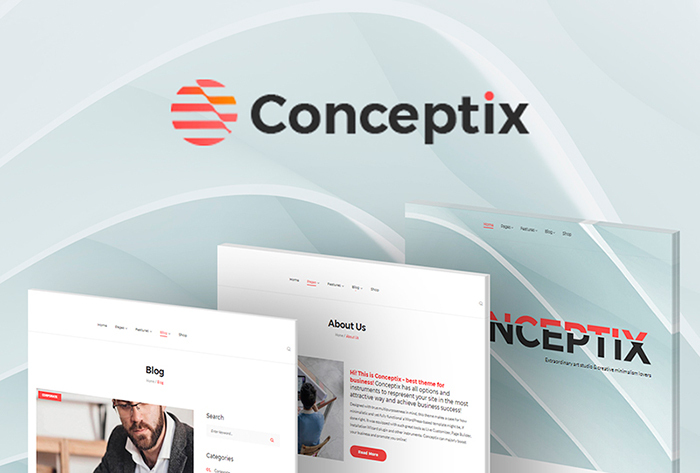 This premium website template design can help you improve your personal branding, boost online presence and fight off competition on the design market. Conceptum waits for an ambitious company with a creative marketing strategy. It will easily fulfill the dream to create a top-notch, sleek-looking and trustworthy site for a company with long-range plans. A plethora of widgets and options can quickly turn Conceptum into a pliable multi-purpose theme, fit for any website. Visual Composer page builder implemented in the WordPress template is easy as pie to control and modify the content from there. Stop doubting and start your online business right now! The premium ready-to-install WordPress template will simplify the process of site building, save your time and cost. Remember that all themes follow the latest design requirements and coding standards. One final tip: if you are unsure of how to make your website responsive, read our free eBook “Making Your Website Responsive. What Are Your Options?”. Particularly fully responsive templates will make your website look pleasing and professionally on all devices (tablets, desktops, mobiles). Learn on how using HTML and CSS is vital for modifying content to make it look perfect on all screens.